The water-soluble pre-shave oil is the perfect pre-shave treatment. Save compared to buying each item separately. Protect your skin and give your razor that much needed glide. All natural and handmade in Scotland. This pre-shave oil will not clog your razor or brush, additional it won't leave that annoying grubby scum ring in your sink. Our Natural Shaving Cream is ideal for all skjin types including sensitive skin. Alcohol, parfum and paraben free. It's packed with essential oils, saponified coconut oil and vegetable glycerine to hydrate and moisturise your skin whilst shaving. Subtly scented with the refreshing scents (essential oils) of Rosemary, Eucalyptus, Bergamot, Juniper and Pine Needle. You can expect upwards of 5 months daily shaving from a single tub. Watch our How to Shave With a Safety Razor video tutorial. Dr. Shave (Brian) shows how to use our pre-shave oil, how to create lather from a shaving cream and how best to use our Intensive Moisture Balm. With a massive 24% off of the full retail prices of these products this is a great bargain for the serious wet shaver. Set yourself up for the best shave you've ever had. 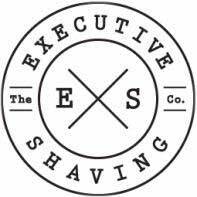 A trio of quality shaving items from the experts Executive Shaving.